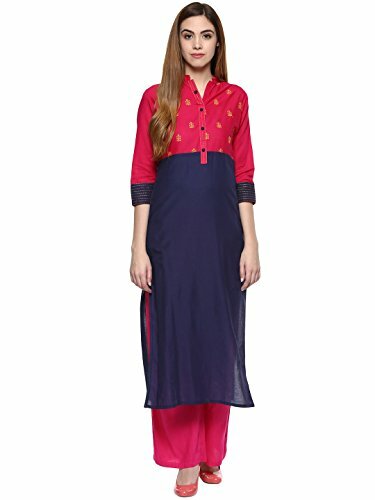 The best price of Jaipur Kurti Cotton Complete Set of Blue Kurta and Rani Rayon Palazzo is Rs. 979 at Amazon in India. DTashion.com can help you save Rs. 1820 on this purchase.